I finally got some saddle bags! 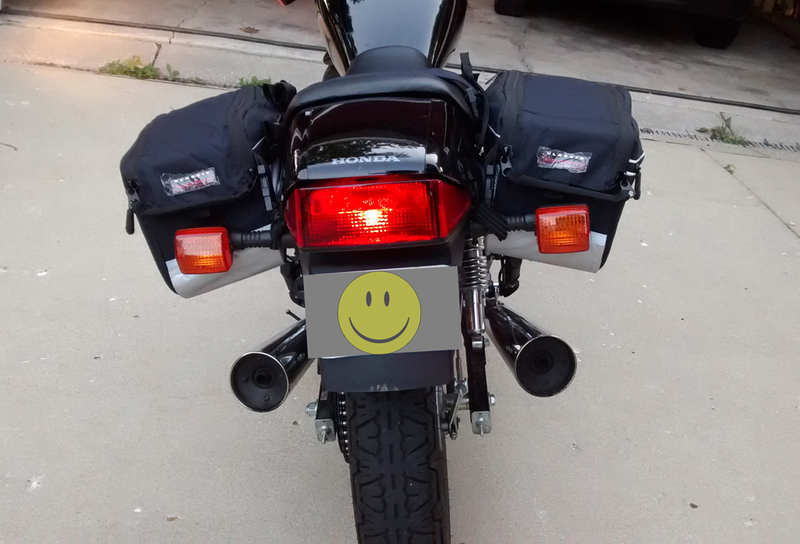 😀 I strapped them on tonight (no small task) and took a test ride with them. Nothing fell off! Ha ha! I was very excited to discover that my jacket will fit inside one of the bags–even with the armor in it! I will do a full review after I’ve used them for a while.